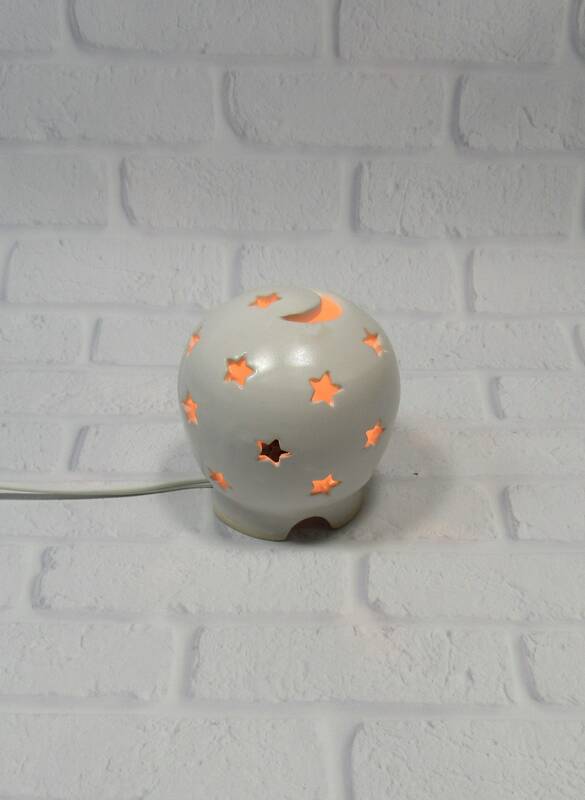 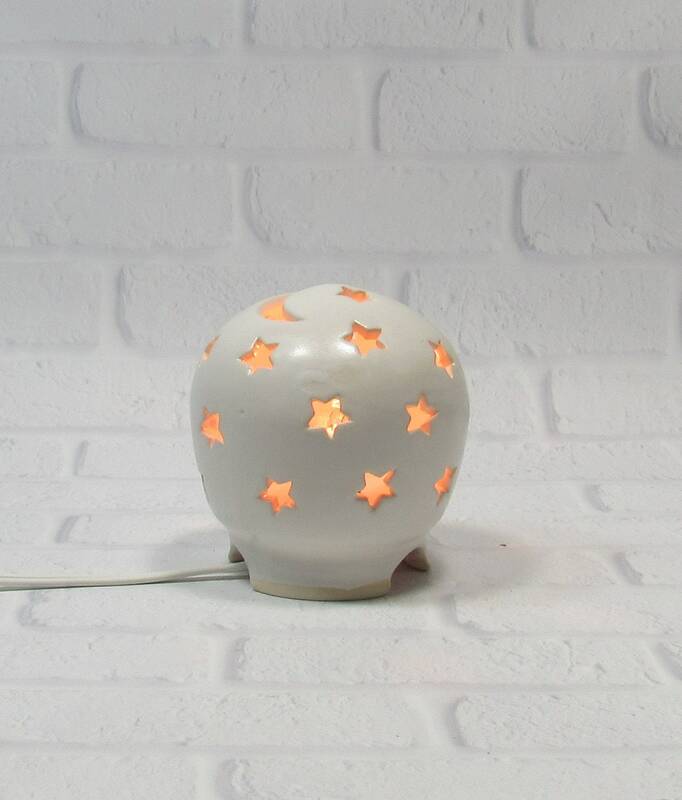 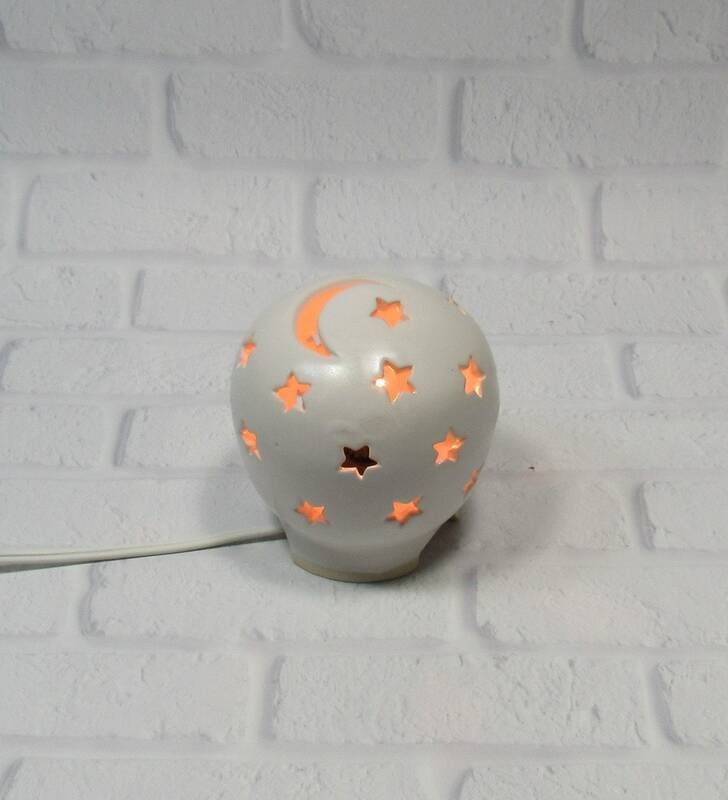 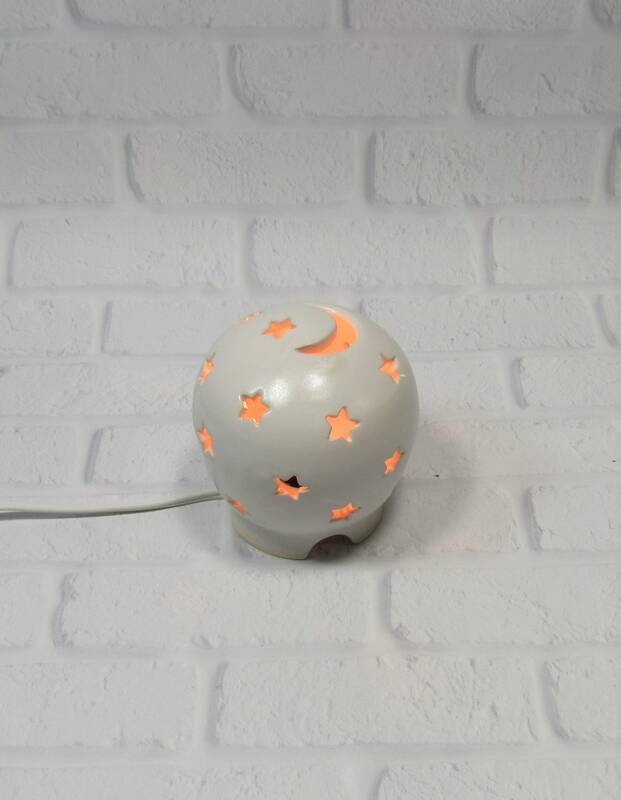 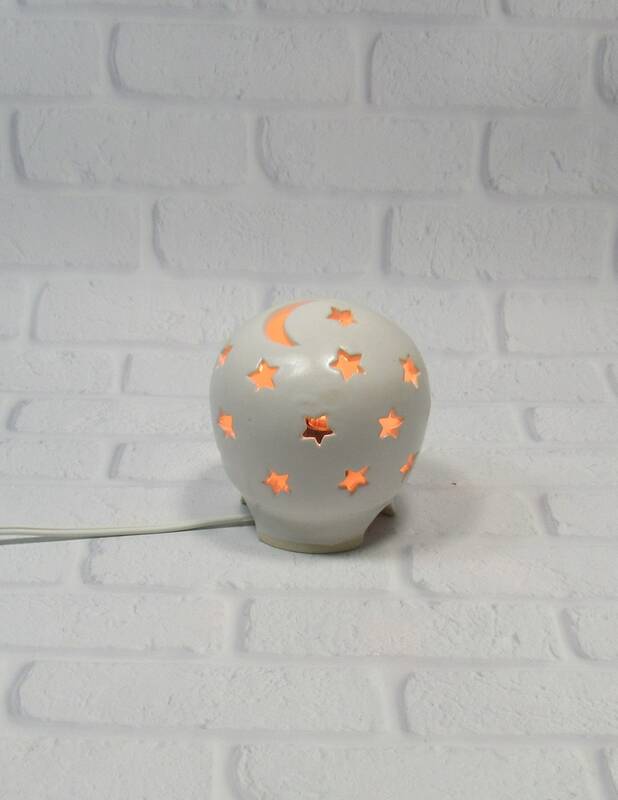 This white Starry Nights nursery lamp has a hand-carved pattern of a moon and stars making it the perfect night light for the nursery or kid's room as well as the teen's room, the powder room or any room in the house where you want some mood lighting. 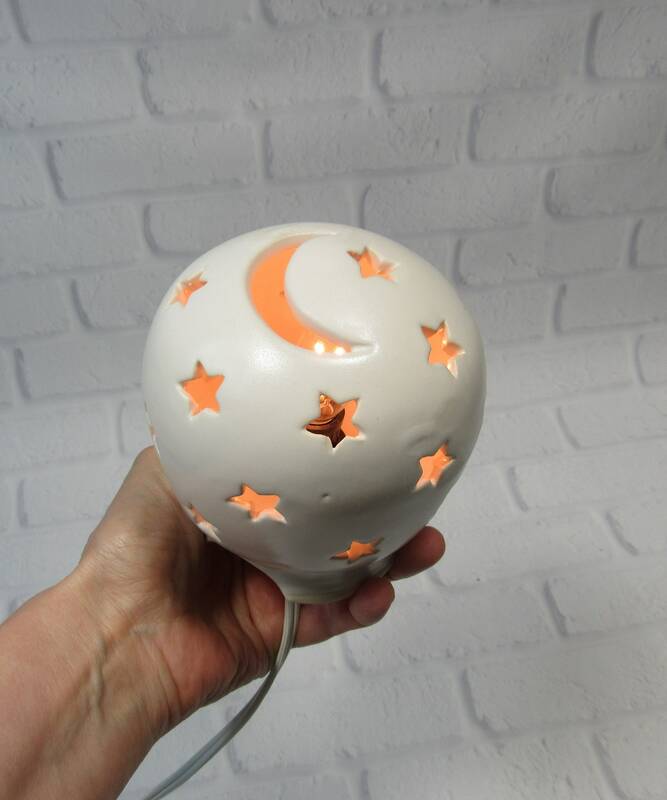 No molds were used to make this unique baby shower gift. 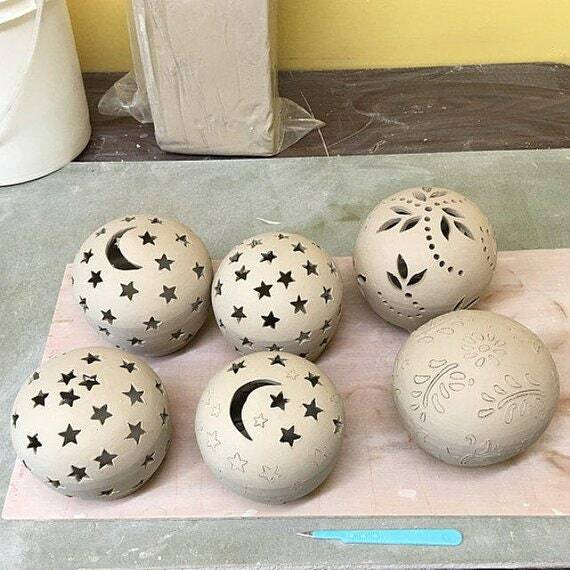 I made it on the potter's wheel as a closed form and hand-carved the stars. 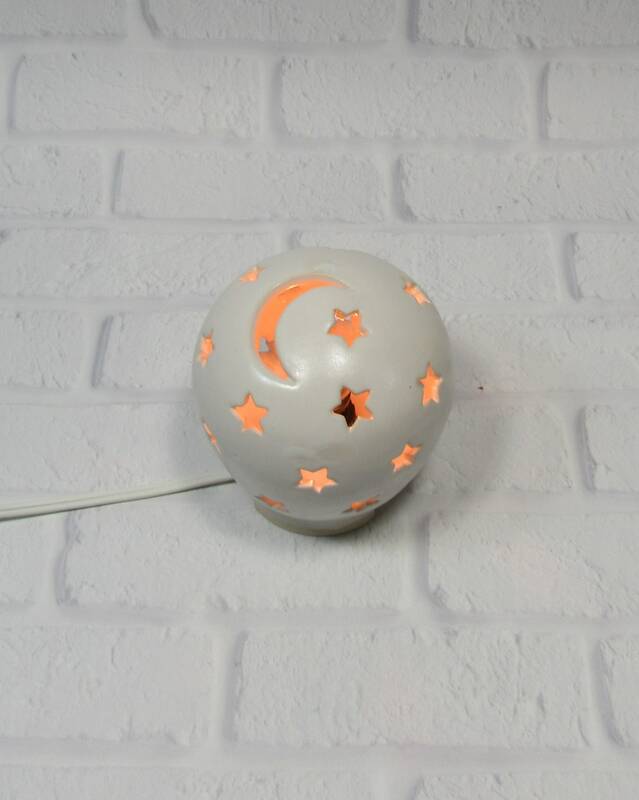 I then hand glazed and fired it in my studio. 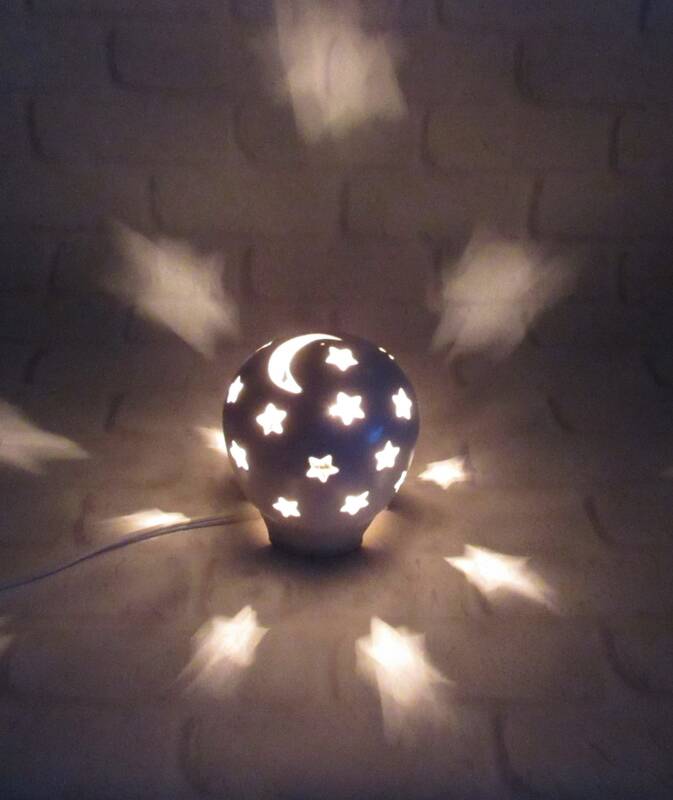 The Starry Nights night light is 4.5 inches tall and uses a snap-in socket with a 4w or 7w light bulb (included). 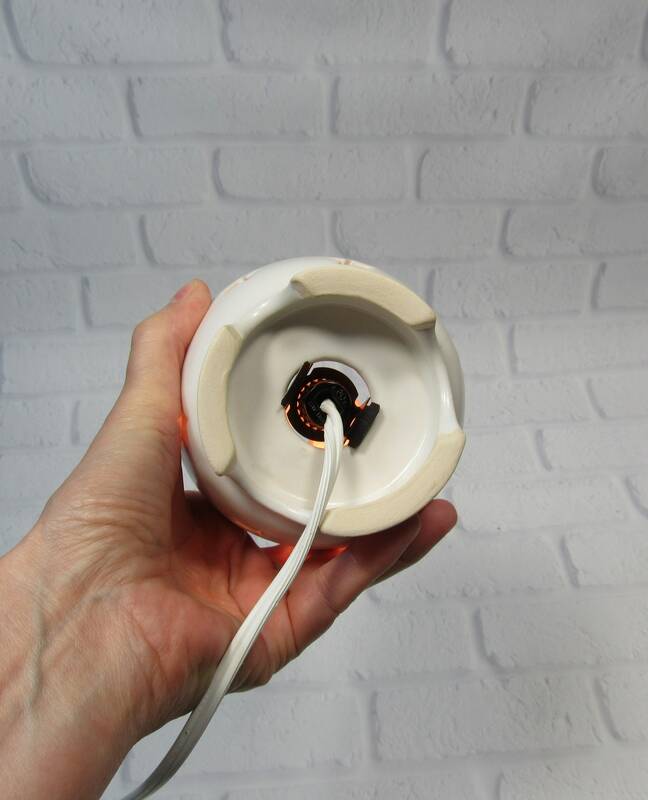 It has a white cord with an on-off switch.